As an attorney with Navigato & Battin for nearly ten years, Mr. Bray is well versed in all aspects of complex business litigation. Mr. Bray enjoys the competition of the courtroom setting, allowing him to aggressively advance the client’s goals when negotiation and informal resolution prove unsuccessful. Outside of litigation work, Mr. Bray also plays a large role in the firm’s transactional practice. Mr. Bray’s attention to detail allows him to assist his clients in getting exactly what they are looking for from their contracts and business arrangements. Mr. Bray has substantial employment law experience, with a focus on trying to help clients avoid legal pitfalls before they begin. 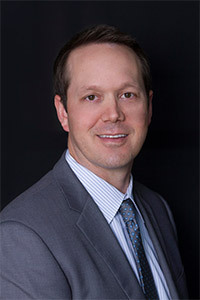 Whether it is a DLSE audit, an intellectual property dispute, or a commercial lease negotiation, Mr. Bray always keeps his clients’ best interests at heart and makes certain they receive high quality representation with a level of attention and responsiveness that only a small firm can provide.